Welcome to my website. I’m David McKay, and Open Book Translation is my Dutch-to-English translation business specializing in literature, academic books and articles, museum publications, and books for the general public. My clients include major museums, scholars, and publishing houses. I have been certified as a Dutch-to-English translator by the American Translators Association (ATA), and I also belong to Sense and ALTA. The Dutch Foundation for Literature, a semi-governmental organization, has approved me as a literary translator from Dutch into English. In November 2017, I was awarded the biennial Vondel Translation Prize for my translation of War and Turpentine by Stefan Hertmans. You can find more information about past literary projects here. 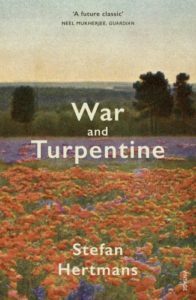 Here’s an article I wrote about translating War and Turpentine for the online newsletter eSense.